During his extensive experience as an NFL executive and scout, Heckert gained a reputation as one of the league's top talent evaluators. KUSA – Tom Heckert Jr., a longtime NFL executive and one of John Elway’s top lieutenants, is no longer working with the Broncos as he’s decided to focus on his health. As he was about to miss the Broncos’ Super Bowl 50 trip to the Bay Area in early 2016, Heckert said he had been diagnosed with a treatable blood disorder. 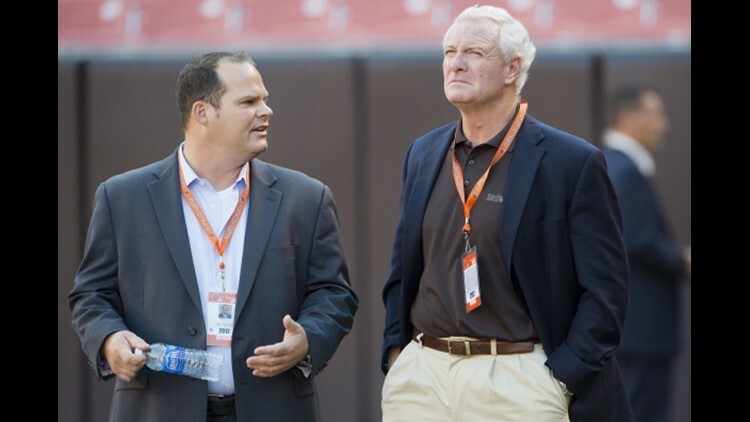 Heckert has spent 27 years in the NFL, including general manager stints with the Philadelphia Eagles (2006-09) and Cleveland Browns (2010-12). He joined the Broncos as director of pro personnel prior to the Broncos’ Super Bowl 48 season of 2013. He spent the previous two seasons serving as a senior personnel advisor. The Broncos essentially have Gary Kubiak serving in that capacity this season. During his extensive experience as an NFL executive and scout, Heckert gained a reputation as one of the league’s top talent evaluators.